Today the Bureau of Labor and Statistics (BLS) reported that the unemployment rates for all civilians remained steady at 4.9 percent while veteran unemployment increased in July 2016. July unemployment rates for post-9/11 veterans* increased from 4.4 percent to 5.9 percent while the total veteran population saw a slight increase, from 4.2 to 4.7 percent. While seemingly a large jump in the post-9/11 generation, the smaller sample size of the population sometimes results in more dramatic changes in rates from month to month. 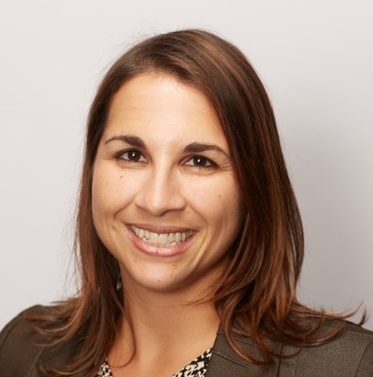 While one month does not a trend make, it will be important in the next few months to monitor whether unemployment among the newest generations goes back down, as employment continues to be a primary concern among IAVA members. Overall, over the last two years, the general trend in unemployment across the veteran community has been a downward slope and more in line with the civilian rate. 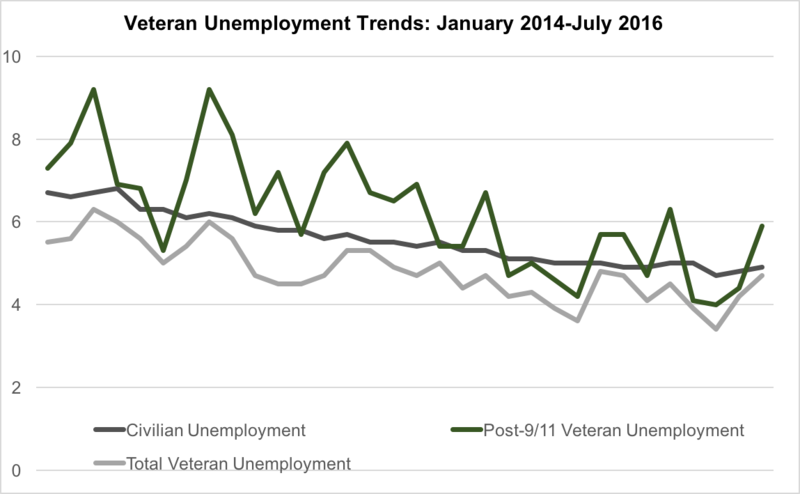 This downward trend is likely in large part due to a focus on veteran employment efforts nationally. IAVA’s advocacy work has focused on this for years. Through our efforts, we celebrated the implementation of the New GI Bill and the Vow to Hire Heroes Act among others. But our work is not done. It’s tempting to abandon some of the policies that have led to these successes. By doing that, we risk reversing these trends that we’ve worked so hard to improve. * Unemployment rates for the Post 9/11 generation tend to show more variability, in large part because of the small population sample size used to calculate this rate. Because of this, considering longer term trends than month to month variability is more reliable when making conclusions about unemployment in the population.